The 10 Best Pasta Places in North Dakota! 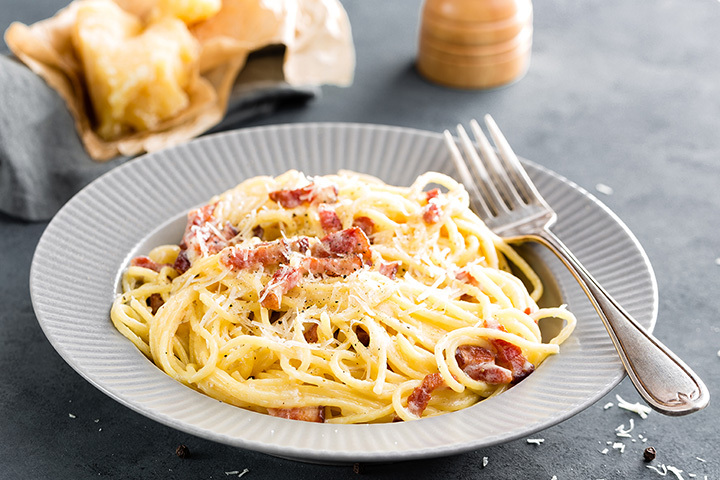 Whether macaroni and cheese, pasta salad, spaghetti and meatballs, or fettuccine al pomodoro, pasta is an incredibly versatile dish that can be used to make delicious meals of all variety. Some restaurants have mastered pasta and make dishes that perfectly combine the pasta with tantalizing sauces. Head to one of the 10 best pasta places in North Dakota to try some of the best pasta dishes around! For over 15 years, Grazie’s Italian Restaurant and Grill in Fargo has provided authentic Italian cuisine to the city. The menu features both traditional Italian dishes as well as some added modern twists to old favorites. The menu has a variety of pasta options including pasta and meatballs, spinach ravioli, pasta verdure fresco, sausage pizzaiola, fettuccine alfredo, tortellini primavera alla vodka, as well as oven made pasta options. In downtown Fargo, Toscana is an award winning restaurant that aims to be the most authentically Italian eatery outside of Italy itself. The atmosphere is calm and classy, with candlelit tables and low key decor. Patrons can choose from a number of pasta dishes such as tortellini forno, tortellini vodka, spaghetti arrabbiata, penne gorgonzola, penne salmone, among many other options. Established over a decade ago, The Toasted Frog has grown to be one of the most innovative and acclaimed restaurants in Grand Forks. The eatery has a welcoming atmosphere as well as friendly and accommodating staff. The restaurant’s crown jewel, however, is their tasty pasta dishes on the diverse menu. Options include pasta specials, pasta bowls, and meat options like pasta with duck or shrimp. Specializing in wood fired and smoked menu items, the Spitfire Bar & Grill in West Fargo has something for everyone including pasta lovers. The award winning menu features flatbreads, soups, wood fired steaks, smoked ribs, spit roasted chicken, fish, sandwiches, burger, and, of course, made-from-scratch pasta. Diners can choose from a variety of delicious options like fettuccini alfredo, chicken pesto pasta, spitfire pasta, pepper crusted sirloin alfredo, or diablo pasta trio with andouille sausage, shrimp, and rotisserie chicken with penne pasta and creamy red pepper sauce. Pasta lovers won’t want to miss a second of this! With a warm and welcoming atmosphere, tasty Italian food, and knowledgeable staff, Giuseppe’s Italian Ristorante is a favorite in Grand Forks for both tourists and locals alike. The menu offers an extensive list of pasta options including spicy fra diavlo, seafood linguine, meatballs marinara, manicotti, and veal parmesan, among many other unbeatable choices. Whether Italian pasta or Asian noodles, Fargo’s Drunken Noodle is the perfect spot for a late night bite to eat. The restaurant is open from 11 a.m. until 3 a.m., so no matter the hour, pasta lovers can come here to pig out! In addition to Asian style noodles, customers can also choose from spicy Cajun pasta, fettuccine alfredo, mac and cheese, with options to add meat and veggies to any dish. As if pasta wasn’t enough, also in the Drunken Noodle building is Wasabi, an innovative and modern restaurant that focuses on sushi and other Japanese dishes. No one knows pizza like MacKenzie River Pizza Co in Bismarck. Not only are the pizzas hot and tasty, the menu also offers a wide selection of mouthwatering pasta dishes. Diners can choose from buffalo mac and cheese, Tuscan penne, Cajun chicken alfredo, lemon rosemary chicken, mackenzie alfredo, or baked ziti. No matter what dish they order, customers are sure to be satisfied. In addition to their great food, the MacKenzie River Pizza Co. is dedicated to helping the nearby community and donated an outstanding $86,000 in 2016 alone. Another of North Dakota’s unbeatable pizza joints, Badlands Pizza Parlor in Medora is a favorite of tourists after a long day of hiking in nearby Theodore Roosevelt National Park. The service is fast and friendly and is a great location for a family meal. The menu doesn’t only offer pizza though, it also has soup, salads, appetizers, sandwiches, fried chicken, kids menu, and pasta. Primo Restaurant inside the Grand Hotel in Minot specializes in serving a blend of Italian and American cuisine. The award winning dishes are prepared using only the finest and freshest ingredients by the master four-star head chef. The diverse menu has a limited selection of pasta but each dish is absolutely mouthwatering. Customers can choose between rigatoni, fettuccine alfredo, golden chicken penne, or spaghetti. The Walrus Restaurant is a favorite among Bismarck locals due to the varied and delicious menu and welcoming environment. There are 15 available pasta options as well as daily specials. Some of the local favorites are the ravioli gorgonzola, chicken Florentine ravioli, chicken Dijon tortellini, and vegetable penne rose.